In her poignant oped, “Not sure what I’m against, but I know what I’m for” (South Coast Today March, 3, 2012), Louise Barteau captures the coming loss for Fairhaven when the turbines start to spin. I am for the children who will live and go to school under the shadow of the turbines. I am for the parents who deserved to be told about the turbines when voting for the new school. I am for the people in Falmouth who have had the courage to stand up and challenge the developers, their town government, the DEP and the DPH, in order to prevent other towns from making the same mistakes that they made. And I most certainly am for the owls, the bats, the terns, the trees, the plants, the frogs, the wetlands, the marsh and the bay. It turns out that whatever isn’t good for them; it most likely isn’t good for us either. No matter how hard we try to forget it, we belong to the animal kingdom, too. If turbines drive away wildlife, there’s a good chance that they will drive us away as well. Recent investigative reporting in Baotou China by Simon Parry in China and Ed Douglas in Scotland captures the high cost of the supposedly green energy represented in Fairhaven by the Sinovel turbine. 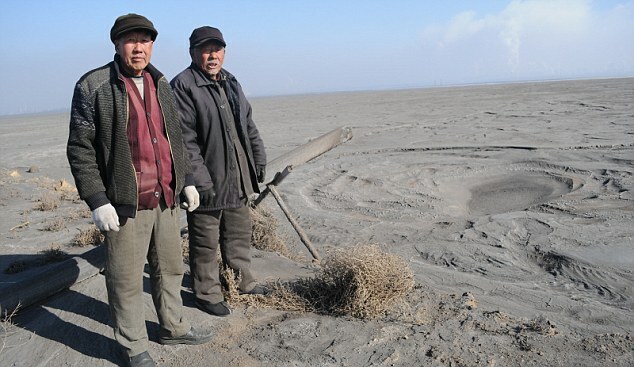 The manufacturing plant in Hami, Xinjiang relies on the rare earth minerals toxically mined in Baotou. Forbes Magazine writer Gady Epstein told readers that Baotou was among the “Names you need to know in 2011.” But his spin was the unfair advantage of businesses competing with Chinese state-owned companies. He neglected to relate the even higher health costs of unregulated mining and smelting of the Neodymium used in the turbines (and other “green” technologies).